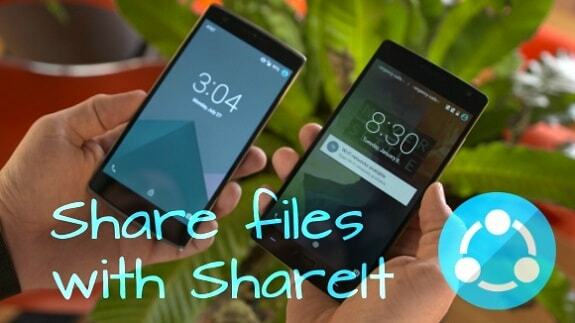 ShareIt is a media sharing application that allows you to transfer files between devices. It also allows cross-platform sharing between different platforms. The app is available for the Android, iOS, and Windows platform. In this post today, we are going to talk about how to Download ShareIt App on the various platforms. There are a lot of features of the ShareIt app that you will find amazing. First of all, you can transfer almost all kinds of files from one device to another. You can transfer videos, music files, pictures, documents, or even entire folders. Just connect the two devices and transfer the files easily with ShareIt. In the following sections, we are going to see how to download ShareIt on the various platforms like Android, iOS, and Windows. Android is easily the most popular operating system in the world. There are nearly a billion devices in the world that run on the Android OS. ShareIt App is officially available for Android on the Google Play Store. You can get it for free from there and install it. There is also another method which you can use to download the app and then install it. Let’s see both of them in brief. First of all, sign into the Play Store if this is your first time using the Play Store. After that, search for “ShareIt” using the Search Box at the top of the page. Once you do that, the Play Store will directly open the ShareIt App on your device. The app is free, so you just have to tap on the “Install” button. Then the download will start and it will automatically install the app once the download is complete. After that, you can open the app from the Play Store itself or from the home screen or App Drawer. This method is the official and the reliable one. So, this is the only one you should use. If it doesn’t work, then you can go for the next one. The first step will be turning on Unknown Sources from Security Section of the Settings Menu. After that, download the ShareIt APK file from this link. When you tap on the link, the download will automatically start and you will have the APK file on your device. These were the two methods that you can use to install ShareIt on an Android device. The second method is also reliable but you should go for the first one as long as you can. And only use the second when the Play Store doesn’t work. iOS is the second most popular operating system for smartphones and it has made a mark in the world like no other. It has a large user base all around the world. ShareIt iOS is available for the iOS platform officially on the Apple App Store for free. Follow the steps to download it and install it on your iPhone or iPad. Open the App Store on your iOS device and search for ShareIt in the search box. Or click this link to directly go to the page of the app on iTunes. After you reach there, tap on “Get” and wait. Once the button turns to “Install”, tap on it and the installation will start. You will see the download progress on the screen. You will find the app’s icon on the home screen with a small progress bar indicating the installation. Once it is installed, you can open it from the home screen. ShareIt App allows you to transfer files between different iOS devices and also across different platforms. That means you can send files from an iPhone to an Android device or even a PC. We shall now see how to install the app on a PC. 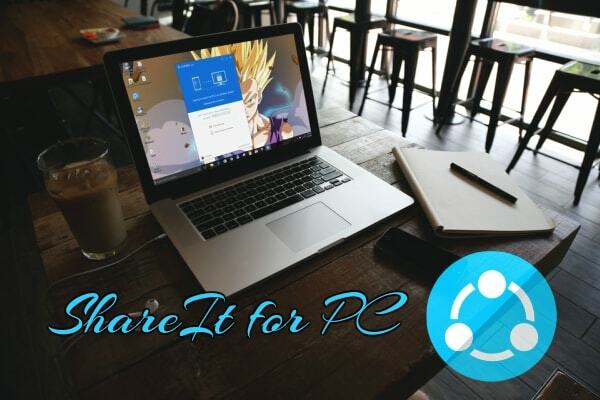 ShareIt App is also available for the Windows PC platform and you can get it easily from the Windows Store or on the official website of the app. Both the methods are quite easy and they don’t take much time. We’ll show you both of them in this section in brief. Open the Windows Store and sign in with your Microsoft Account. If you don’t have an account, then make one. After signing in, search for ShareIt using the Search bar and find the app. Go to its page and then click on “Get” to download and install it on your Windows PC. The app will be installed in a couple of seconds and you can find it in the Apps section in the Start Menu. Go to the official website by clicking this link. Once you reach the website, click on the Windows Tab on the homepage. This will start downloading the ShareIt for PC setup file for Windows. As soon as the download is complete, go to the downloads folder and find the setup file. Double-click on it and follow the installation instructions to successfully install the app. The installation will be complete in a couple of minutes and you will be able to use the app on your PC. With this, we have explained all the download procedure of ShareIt App for various platforms. All the methods explained here are reliable and they work perfectly fine. That brings us to the conclusion of this article on ShareIt App Download. We have explained the download and installation methods for the major operating systems in this post. If you want more help, then you can contact us at APKPie.